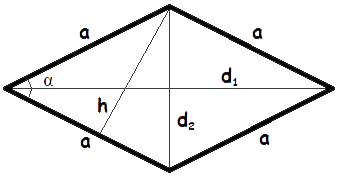 Area Formulas. The area of a triangle, a square, a rectangle, a rhombus, a parallelogram, a trapezium, a circle, an ellipse. The area of a triangle is equal to half of base times height. The area of a triangle is equal to half of a product of two sides and sine of the angle between this sides. The area of a triangle is equal to semiperimeter times in-radius. 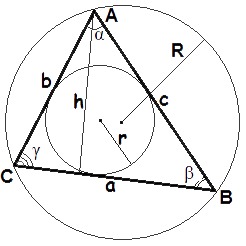 s = a + b + c - the semiperimeter, or half of the triangle's perimeter. The area of a square is equal to squared side. The area of a square is half of squared diagonal. d - the length of diagonal. You can use online calculator for computing the area of a square. 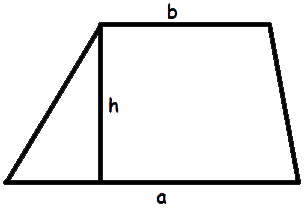 a, b - the length of sides(the height and width of rectangle). You can use online calculator for computing the area of a rectangle. The area of a parallelogram is equal to side times height. 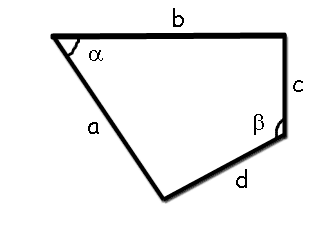 The area of a parallelogram is equal to a product of two sides and sine of the angle between this sides. 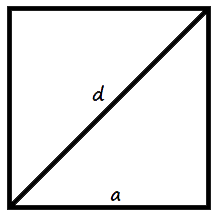 α - the measure of the angle between sides. You can use online calculator for computing the area of a parallelogram. The area of a rhombus is equal to side times height. The area of a rhombus is equal to a product of the squared side and sine of the angle between sides of a rhombus. 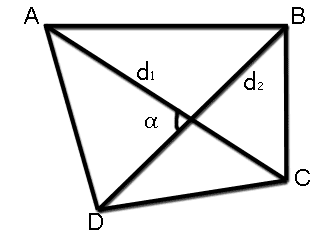 The area of a rhombus is equal to half a product of it diagonals lengths. d1, d2 - the length of diagonals. You can use online calculator for computing the area of a rhombus. s = a + b + c + d - the semiperimeter, or half of the trapezium's perimeter. You can use online calculator for computing the area of a trapezium. 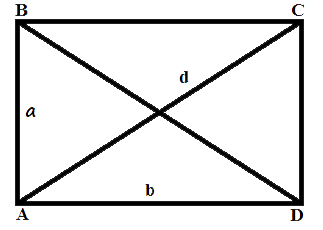 α - the angle between diagonals. 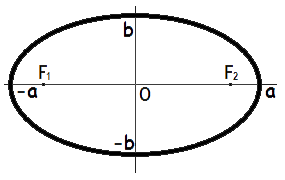 θ = α + β - half the sum of two opposite angles of a quadrilateral. The area of a circle is equal to a product of squared radius and pi. The area of a circle is equal to a quarter product of squared diameter and pi. d - the length of the diameter. You can use online calculator for computing the area of a circle. 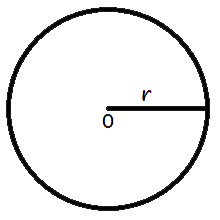 The area of an ellipse is equal to a product of lengths of the major and minor semiaxes and pi. You can use online calculator for computing the area of a ellipse.